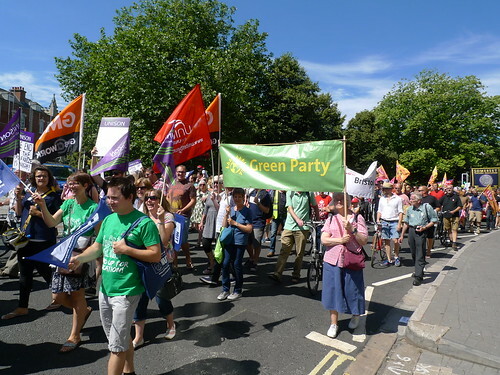 Along with some Green Party colleagues I took part in the march through Bristol by the unions that were striking today. The weather was perfect and the turnout excellent, and we had a thoroughly enjoyable time with almost total support from passers by. This was just one of many such marches throughout the country, with hundreds of thousands taking part. Also today, David Cameron announced Tory plans to require 50% of union members to vote for a strike in order for it to be legal. At the same time he refused to allow workplace balloting or any other means to make voting easier. Obviously this move is nothing to do with democracy and simply a means to try to make legal industrial action more difficult. If Cameron has a problem with low turnouts then he should probably ask his own government to resign, and certainly the Police Commissioners that hardly anyone voted for. 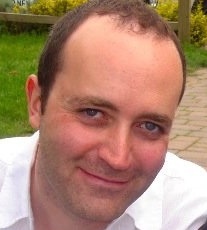 The government didn’t stop there - Cameron’s official spokesman said that public sector strikes were ‘always wrong’. The sheer audacity of such a claim is unbelievable. This government has presided over a real-terms 20% pay cut for some of the most important jobs in the country - teachers, nurses, carers… real jobs, helping the youngest and most vulnerable in society. Not only have teachers had to deal with Gove, the most inept education secretary in living memory, but NHS staff have seen their organisation sold-off, slandered and maligned and mismanaged by a government intent on destroying it. Still they work harder than most of us, only to be hear that if they were to strike it would always be wrong. Let me be clear. Public sector workers were absolutely right to strike today. They have been demonised and sniped at by a government that hates them and any public service ethos. They are told that even a pay rise that matches inflation is ‘unaffordable’ by a government that finds money to give tax cuts to the rich and spends time lobbying Brussels to exempt our bankers from rules stopping obscenely high pay. The money is there - the wealthiest have seen their wealth vastly increase, yet the working poor are going to food banks. Some public sector workers are now earning the minimum wage because their pay can’t go any lower. Teaching is now one of the worst paid graduate professions, yet millions are found to set-up unnecessary ‘free’ schools and academies - vanity projects for people like Toby Young. This government has no interest in improving education - its sole objective is to remove the responsibility for it from the State, just as it wants to for health. And where were Labour today, while the unions that fund it were calling for action? Labour refused to back the strikes. Only the Green Party backed them and marched with the strikers. Labour know that they can’t back fair public sector pay because they are committed to Tory austerity plans, and that means no increase in pay for the foreseeable future. We reject austerity. We demand a living wage - a fair wage - and treating people who do the most important jobs in society well.